Capitalizing on the generally positive reactions its new plans for the Pink Line, the Chicago Transit Authority announced plans to extend service. It's new project was the top secret twin to the former 54/Cermak turned Breast Cancer Awareness train. Why plaid though? "We felt we ran out of solid colors," said one low-level CTA official, refusing to disclose his name. "Plaid just seemed a good way to go. What else would we call a line that runs past the state border?" The greatest question involves just that: the length of the line. How could the CTA, strapped for cash, begging the city, the state, and several corporate billionaires for money, afford to run trains almost 100 miles? And what will happen to the cost of fares, which has already gone up in recent years? "This new Plaid Line will run similarly to the Skokie Swift, with trains running every 20 minutes or so. If we We're just finalizing plans for the schedule it'll run on. Hopefully, we will not have to raise fares too much, but this is all for Chicago's benefit. The residents of Skokie will benefit from their new connections to the Brown Line as well as Kenosha... I think we will all benefit." Another problem the line may face is the battle to build it. The line will likely force many Chicagoland residents to move before the wrecking ball takes their former homes hostage for the construction of the new line. However, some Chicago residents have marked this with joy, wishing Skokie residents much luck in moving as quickly as they can. "It's a great day for Chicago. 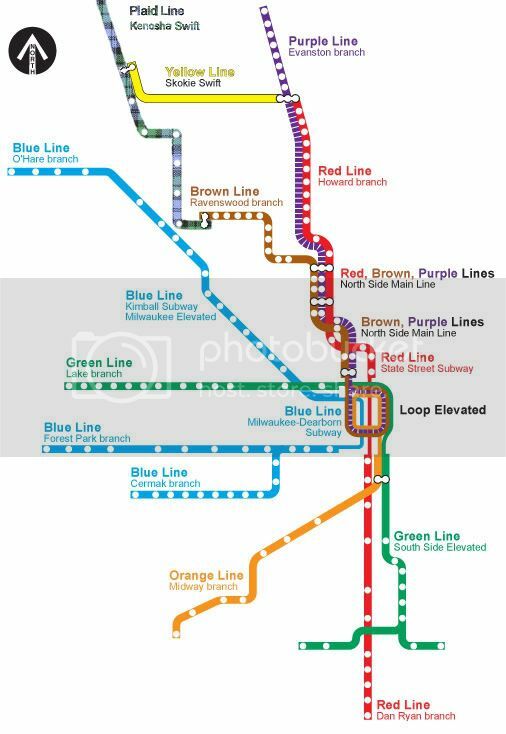 It's the first step to connecting the El to the rest of the Midwest!" said one excited teenager. No high-level officials within the CTA or city could be bothered to comment. By the way, this is the beginning of my new comment system. Hope it'll work better when I break off all the kinks. "But, noted one 8th grader who nominated pink, the color isn't just for girls any more. 'Pink is a really pretty bright color and when people hear the color pink they probably think it is a girly color,' wrote Jeanine Zarate, a student at Graham Elementary School in Chicago. 'Today, a lot of people including boys like pink.'" She's obviously been around a few times.